I would recommend ExporTech in a heartbeat. Part of my reasoning for doing ExporTech was to find out: is international even viable? ExporTech gave me answers. Wow, I learned a lot. And some of it was different than my previous assumptions. It forced you to be sure: 1) that the market exists, and 2) even more importantly that you can penetrate that market. Entrée into an international market can be daunting. There are many considerations, from financial, regulatory, taxation, duty costs, manufacturing and distribution considerations, freight forwarding, customs clearance, as well as language and currency considerations, among others, depending on the country. You will have an investment going in, and you need to be sure it will produce a sound return. ExporTech motivated me to put a sound plan together, one that I could actually use… to figure out not just what are my target markets, but WHY? And it gave me the tools to look for the information I needed: websites, people, information from speakers… so I don’t have to start from scratch. Some of the information the program helped me find, I had been unsuccessful in finding on my own. They did a great job getting relevant speakers and topics. And providing resources and support. The resources were a life saver. You leave with 90% of what you need to know and they put you in place to find the rest. That was invaluable. I would go again just for that. ExporTech absolutely had an impact on us. Not only in terms of dollars; more importantly, it gave us vision. And, it allowed us to have the comfort and confidence to pursue international opportunities. The program helped us figure out how to navigate outside the U.S. We had participated in domestic tradeshows before, but after the program we were better prepared to talk to international buyers. ExporTech guided us on how to target the best international markets and types of buyers. After ExporTech we exhibited at our first international show where we received great interest in our products and where we learned a lot about how our products could be applied in other markets and with new consumers. ExporTech helped lay the foundation to our international business plan. ExporTech is a great program. They walk you through the action steps – things that are easy to put off – that will help with your domestic and international business, like talking about your competitive advantage. It forces your team to talk about it and think about it. Most companies don’t have the discipline to do that on their own. A lot of government programs mean well but they’re a lot of theory. This was different. This was action. This was: this is what you need to do, now go out and do it. 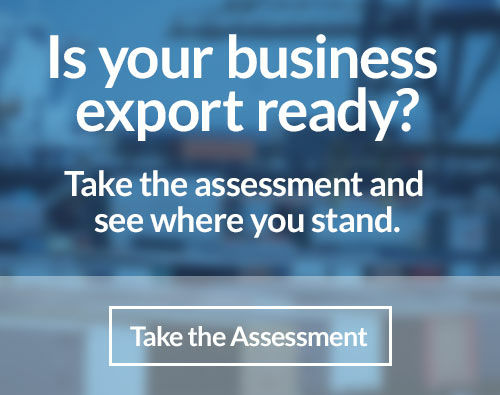 If you are even thinking about exporting or even just growing your business in a competitive domestic market, if you’re looking for anything that can help you, you couldn’t get better resources than you’ll get from ExporTech. I was shocked at the level of follow through. Without a doubt – it was clear that everybody CARED. You can’t put a price on that. They cared; they followed up after the program ended; they came up with suggestions. When we circled back with questions, they helped. They did research that they said they’d do. It’s really hard to believe it’s the government. ExporTech was very informative and worthwhile. The most valuable aspect was interfacing with export agencies. And learning about the nuts and bolts: harmonized codes, financing opportunities. It also gave you a macro view of how to approach international. ExporTech is comprehensive enough for any stage of exporting experience. In our class, we had companies that had been exporting for years. You can always learn more. Prior to ExporTech, we made contacts without knowing the culture, etc. Because of ExporTech we’re better able to assess potential customers and vet them, so we’re not spinning our wheels, which used to happen all the time. If you don’t know the intricacies of the culture (how things work in other countries) you can get into trouble. After ExporTech we were educated. Being a small business, we have bandwidth constraints. Because of ExporTech we are more focused than in the past. The information was excellent! We learned more in 1 day than in 6 months of [working with another organization]. What was unique was that it was condensed, they brought the right people to you – like the Export-Import Bank – that I didn’t even know existed. So much information – all extremely valuable—that would really help. The right people, great documentation, people you could ask questions of… Business planning and identifying markets were extremely helpful. We already had export and import experience, so harmonized codes etc. – we already knew. But ExporTech would’ve been extremely helpful -- when we had first started-- because we struggled to figure it all out on our own.